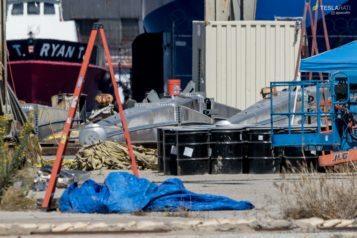 Following a 45-day armless hiatus, SpaceX fairing recovery vessel Mr Steven’s four net-supporting arms have reappeared at its Berth 240 home, potentially giving SpaceX technicians enough time to install them for a fifth attempt at snagging a Falcon 9 fairing half. 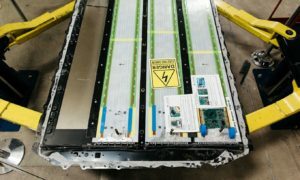 That fifth Falcon fairing recovery attempt could occur as early as ~8 pm PDT, October 6th, roughly half an hour after SpaceX is scheduled to launch a flight-proven Falcon 9 Block 5 rocket with SAOCOM-1A, a 3000 kg (6600 lb) Earth observation satellite built for Argentinian space agency CONAE. 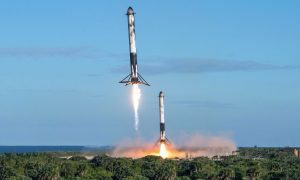 SpaceX’s most recent Vandenberg launch and fairing recovery attempt occurred on July 25th and successfully placed the sixth group of 10 Iridium NEXT communications satellites into orbit, after which Falcon 9 B1048 managed a safe landing aboard drone ship Just Read The Instructions (JRTI). 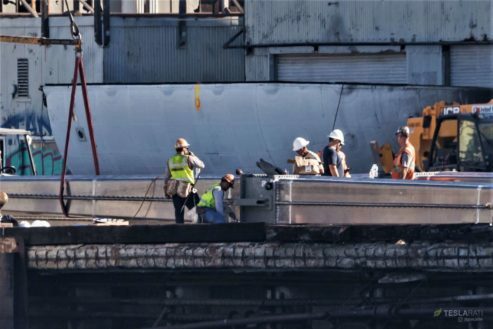 JRTI returned to Port of San Pedro on July 28th and Block 5 booster B1048 has spent its subsequent ~70 days on dry land being refurbished for SAOCOM-1A, perhaps providing a taste of things to come for SpaceX launch operations. 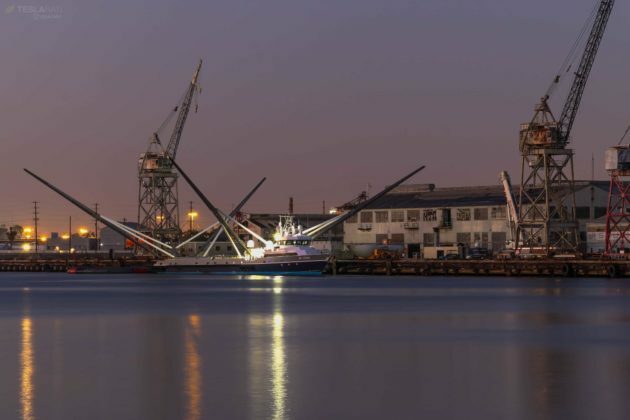 Mr Steven, on the other hand, has been relegated to its Port of Los Angeles berth for the last month and a half, following the removal of his four arms, eight complementary booms, and large net. 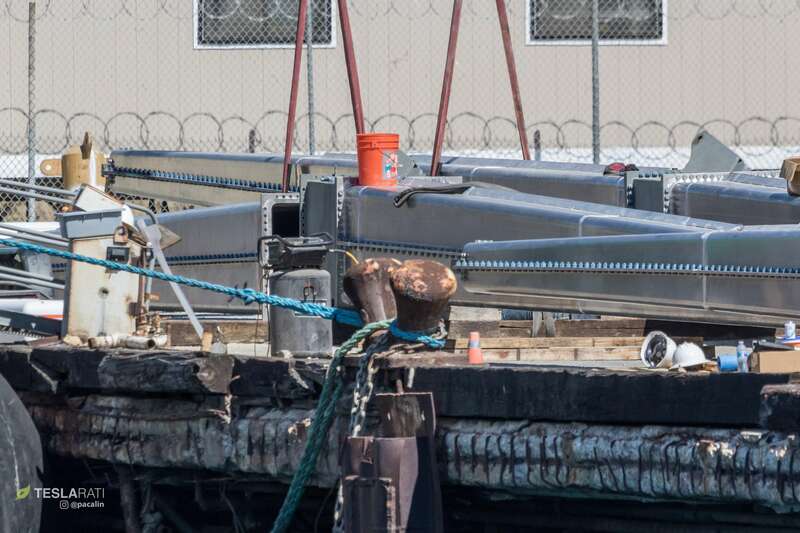 Presumably scheduled for upgrades after additional real-world testing, those arms and booms disappeared from Berth 240 around August 22nd and were spotted back beside Mr Steven on October 1st. Curiously, at least one arm had legible shipping manifest stickers applied, suggesting that the central arm structure, an entire arm, or even all four arms were shipped somewhere by air in interim. 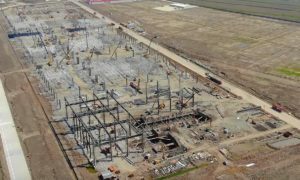 Thanks to a new structural design allowing each arm to be easily disassembled into half a dozen major subsections, air shipment is likely a breeze compared to nearly all other large pieces of SpaceX hardware. 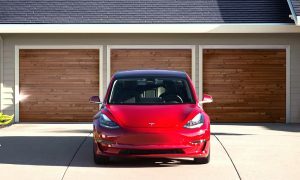 Where or why they were shipped is unclear, although the expense of transporting ungainly and heavy items by air may indicate that schedule margins were too tight and the distance too far for road transport. Mr Steven’s eight shock-absorbing arm booms have yet to be spotted at or around Berth 240, but chances are looking good for the vessel to have his arms reattached in time to attempt a fairing catch shortly after SAOCOM-1A. 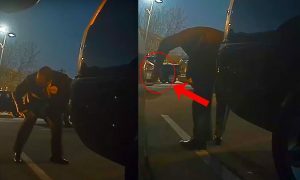 Judging from photos of the recently returned arms, any obvious before and after differences are few and far between, meaning that any visible upgrades to the recovery mechanism will instead be found with the booms. Longer arm booms could perhaps increase the working area of Mr Steven’s arms at the cost of dropping his net closer to the deck and late-July testing that involved placing an actual fairing on the net appeared to indicate that margin is available to lower his net further. 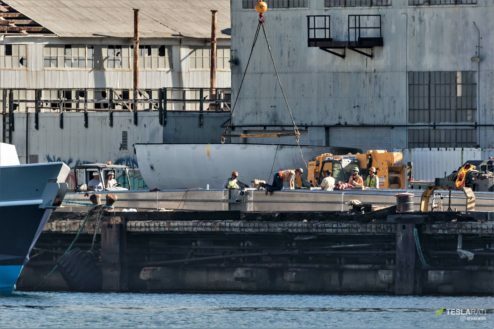 We’ll find out soon as the booms arrive and SpaceX technicians (hopefully) begin reinstalling the vessel’s arms and net over the next several days.